That is a point and something to consider down the road but there are a lot of things that need to happen before that. Anyone think about changing the color of the switch LEDs? I think one of mine isn’t working properly and would like to fix it but while i’m in there maybe I could change the color? Changing the switch LED’s is fairly simple, They are either 0805 or 0603 SMD LED’s and you can use any color you want. I’m sure it must have been answered somewhere but i can’t find it, is the button cap retaining ring pressed in or threaded ? Thanks TA, that’s good news. I have opened my flashlight by 2 people (my son and I) using non-skid rubber gloves. With the stock Led obtained 925.000Cd. I have replaced it with a boiling thinner dedomed XHP35 HD and now I achieve 1.186.000Cd. 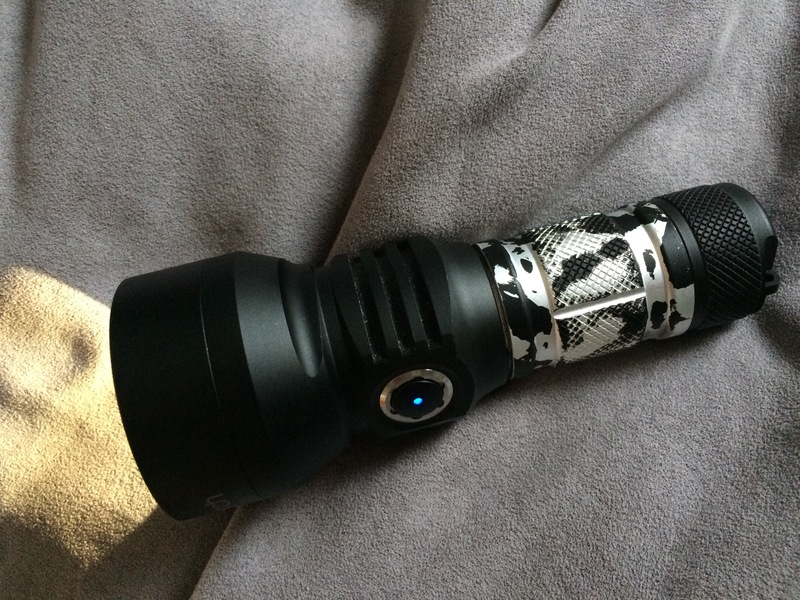 The Led I used was removed from a Haikelite MT02. I have replaced it with a boiling thinner dedomed XHP35 HD and now I achieve 1.186.000Cd. Will you do any engraving or modification to the anodization? I am waiting for a single carrier “shorty” tube. I carry the GT right at the switch area so balance is not a problem. A little less weight and smaller overall size would be nice in my opinion. How many lumens does the light produce? No integrating sphere. I’m sorry. Visibly more lumens than stock. Neither of those two distances is far enough to get an accurate reading. Emiter swap is so little mod than I don’t plan to engrave nothing. You might be right, but with a second measure (15m) smaller than the first one (10m), I have interpreted that the beam was already collimated at that distance. In any case, my luxmeter is very cheap and crappy. I want to think that the actual results are better. How did you convince them? Got a spare you could sell? Ancient Chinese Secret…been dealing with Lumintop for years, I did a SD75 XHP35HI and needed Smooth reflectors, they made them for me. I sent pics and written details of the builds, the rep at that time was Will, he thought it was very Cool. I guess I’m on their Cool list? A shout out to Convoy, Thrunite, and Phoenix they are great to deal with also, at least on my end. I would like to mod my GT with an XHP70.2, someone can kindly tell me which resistor to replace on the original driver, and possibly which value to use? I would like to mod my GT with an XHP70.2, someone can kindly tell me which resistor to replace on the original driver, and possibly which value to use? Thanks. I have posted this information before somewhere. You need to replace the 2512 3W resistor with either a .050ohm or .040ohm. The .040 is not officially recommended but it has been working fine in my light for months now. 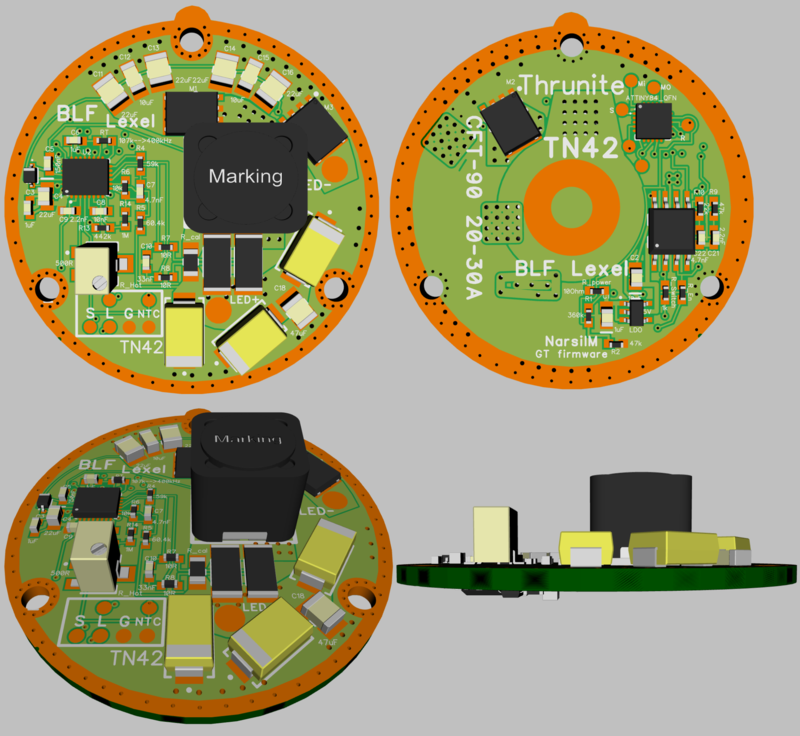 The biggest issue is the xhp70.2 mcpcb, they are hard to find. I am trying to talk lumintop into making a batch of them and I think they might do it. Although time will tell for sure. Tomorrow evening Djozz and I will measure our BLF GT’s in the basement floor of my appartmentblock: we have an indoor beamshot location of up to 45 meters………. should give us some decent throw numbers indication. Me or Djozz will post the results. Now I noticed that TA said 3W power the link is for 1W power, would that still work? or do I risk effing something up? That resistor while technically ok is only rated for 1W. The resistor needs to be rated for 3W for long term reliability. I have yet to find a reasonably priced 3w .047ohm resistor myself, so I just recommend the .050 and .040 now. Thanks for the clarification TA, I just noticed it! The cheapest I found was $20 for 100 pieces… Will this one work? Yes, that would work but please don’t spend that much on a resistor. Better to just get an 050 or 040 for less then $1. Or for that kind of money wait until my TA drivers are finished and buy one of those. It will give you a lot more performance from the xhp70.2. thanks, I still did not understand what is the resistor to change, over the weekend I will try again. Yes, that one will work fine. Once you look at the driver it will be clear which one it is. It is the only resistor of that size on the driver. Right now it should say 91 or something on it. Thanks TA, I’ll wait for your drivers.